I've been inspired by Eugenia from Ommorphia Beauty Bar and Toya from Beauty Obsessed to start a series on my makeup collection. It didn't take a lot of convincing, as I love collection posts more than kittens. There's something about seeing all the makeup pretties laid out neatly (and swatched!) that makes both my Pisces and Virgo sides dance around in glee. I'm still trying to figure out the logistics of how to organize this series (by category? brand? category within brand? colour within category within brand? ), but I thought I should start with something that occupies a special place in my collection. This is the only real vintage piece of makeup I own, and it has a profoundly personal meaning for me. Guerlain Météorites in the original cardboard packaging. Label from the underside of the packaging, copyright 1982. 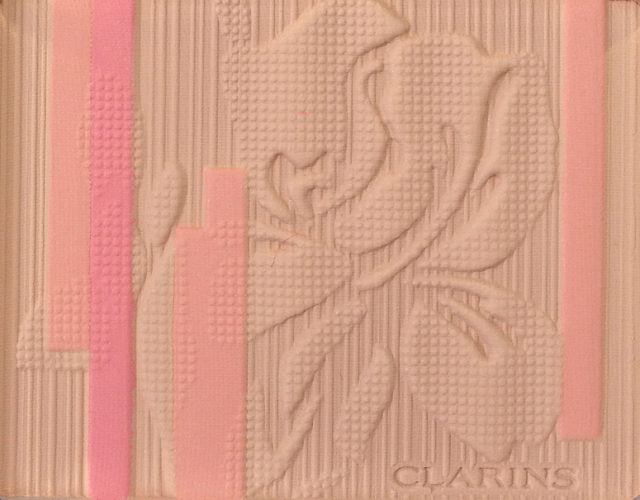 This is one of the first items of luxury makeup my mother owned. We moved from Poland to France in 1982, during the Communist regime. At the time, Poland was under martial law and my mother could not abide the thought that she would stand in line for hours to try to buy food, only to find out that there was nothing but vinegar left on the shelf. She wanted a better life for her family. My father left the country first to establish himself in the US, and we followed after a year. We were not able to join him in New York right away, and instead made our way to an intermediary stop in France - a stop that lasted two years. When we arrived, my mom had instructions that she had written down in phonetic French, and we each had a bag. At the time, I was a cranky and sick 4-year-old, and acting every bit of it. I'm amazed she didn't pitch me head-first into the Seine. Anne was a beautician, and took my mom under her wing. 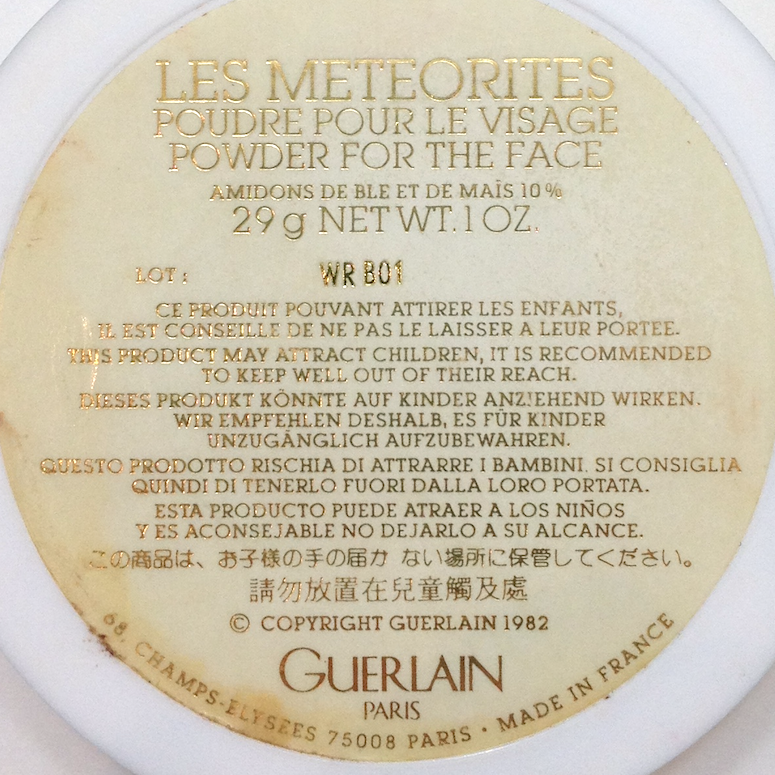 I'm not sure if she bought the Guerlain Métérorites for her, of it's something my mom eventually got for herself in later years. In my memories, they always seemed to be present on her vanity. I was so fascinated by them, by the violet smell and the colours and the shimmer of the powder. Eventually she passed them on to me, presumably so I could play with them the way kids do. Instead they took on an almost magical property, became a little totem of sorts. 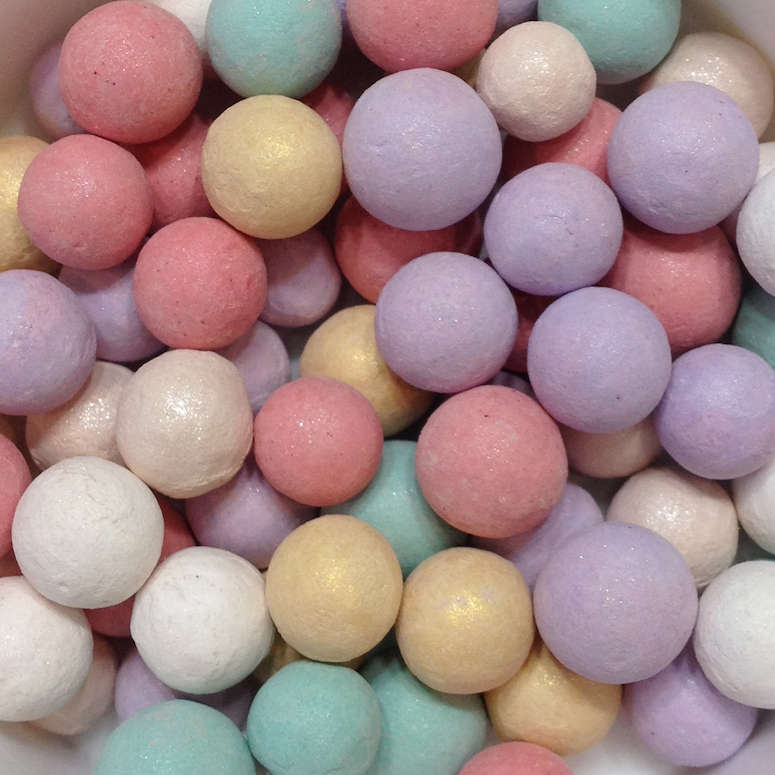 The beauty junkie in me can be traced back to these little beads, and a French ideal of feminine grace and beauty that, to me, is synonymous with love and generosity. One of the questions I was asked - repeatedly - after I posted my makeup collection video online was "aren't you worried about your makeup going bad?". To answer that question technically: powder products can last a lot longer than the suggested best-by date, especially if you take care of them. With these, I gently spill them out over a paper napkin and spray them with an alcohol mist, and then clean out the jar with more alcohol. I let everything dry and then decant the beads back in. The process removes any surface bacteria that may be lingering. I don't actually use these anymore though - I keep them because because of what they evoke. Makeup may be transient in nature, but its value cannot be dictated by a best-before date. And yes, it still smells of violets. Becca Cosmetics are known for a natural, healthy, skin-focused aesthetic - and what better to encapsulate that aesthetic than their signature product, the Beach Tint? 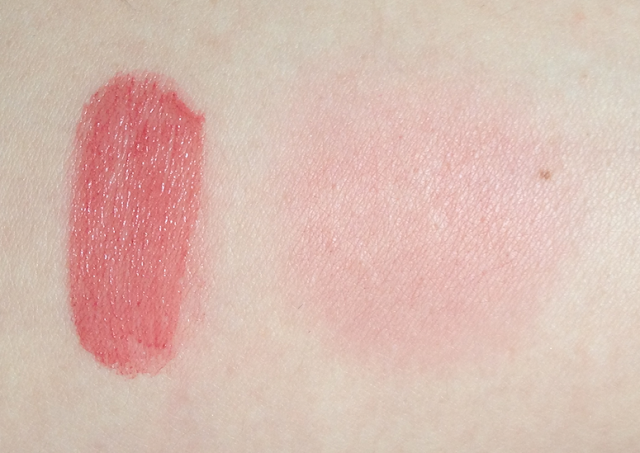 These are supposed to be easy-peasy cream stains that can be applied to lips and cheeks for natural colour and water-resistant wear. 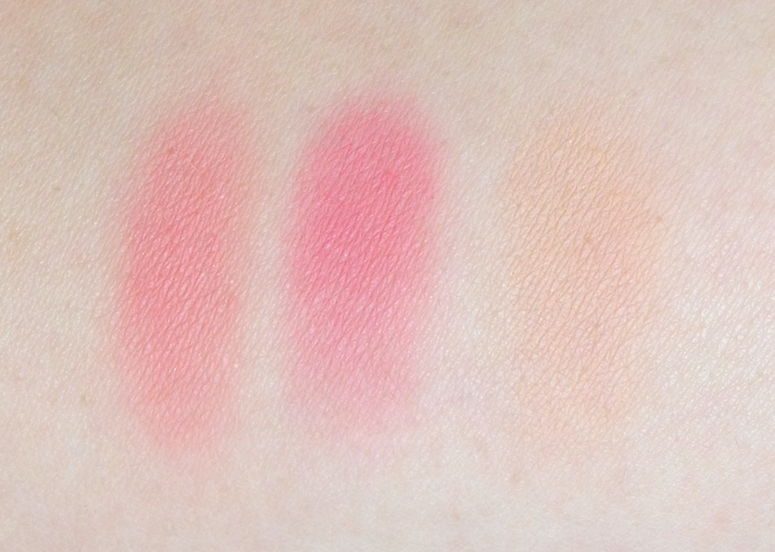 Since I've recently become obsessed with cream blushes, I knew I had to give these a try. I was a little taken aback by the small size of the squeeze tubes (which are smaller than the OCC Lip Tar tubes). It turns out they're small but mighty. I only needed the tiniest amount to do both my cheeks and to use as lipstick. 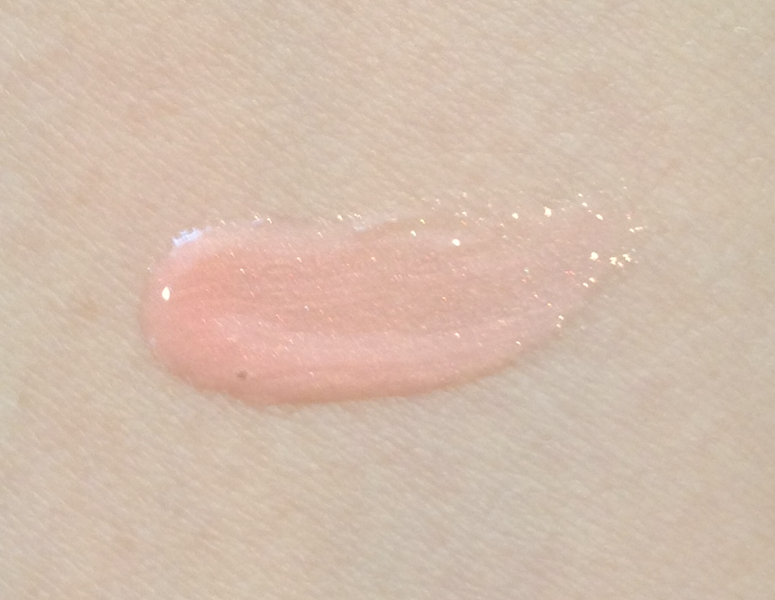 The texture of the Tints is a mix of cream and gel, and the fluid can become separated (pressing the tube a few times between the fingers mixes everything back together, much like the Too Faced Shadow Insurance or the Lip Tars). They appear very dewy when first applied, but as they dry down, there is no tackiness or texture left over - just a stain. Despite the fact that they set quickly, I didn't find them overly tricky to apply. I think that fluid-cream texture makes them really easy to blend. If you goof, just go over the edges with the brush you used for foundation. Watermelon is a warmer-toned pink that livens up the skin. Dragonfruit is a gorgeous poppy pink that goes on way more mellow than expected, unless you layer it. Strawberry was a more difficult shade for me personally to carry off, but I think it would look lovely on a creamy-skinned redhead. All of the shades appear more opaque on the lips. You can see me wearing Watermelon in my previous review for the Becca Skin Perfector and Radiant Foundation. These are great as lip stains as well. They dry down completely matte and feel like you're wearing nothing at all. I found them a bit drying to wear alone for long, but that's fine, because they are an excellent base to wear under gloss. The wear time as a blush was great - 8 to 10 hours easy. As a lip stain, they lasted until a meal, but looked worse for the wear after that. A big plus for me is the way they are scented to match the fruit they are named for. This partially makes up for a packaging issue - namely, that the tubes themselves are unlabelled! The boxes come with the name, but the tubes themselves do not. I panicked when I realized I had removed them all from the boxes to take pictures and couldn't remember which was which. Thankfully I was able to match them back up with lot number, but that remains a call-out to the brand. 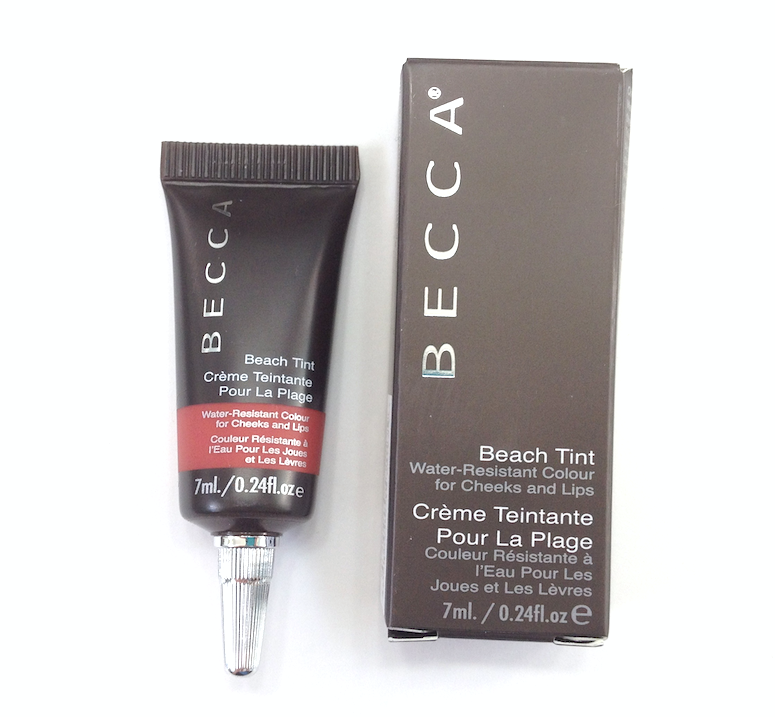 Availaibility: At Sephora.com and the Becca website (which only ships to the US). Price is 30$ CAD and 25$ USD. Pros: Very easy to use, a little goes a long way. Versatile, can create a natural effect or be layered for intensity. Wears very well. 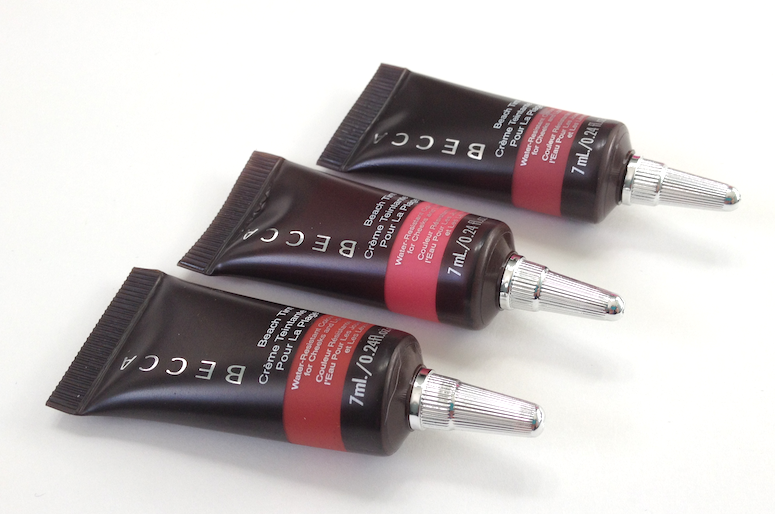 Undetectable finish that looks like skin, and though matte, doesn't look dry or flat. 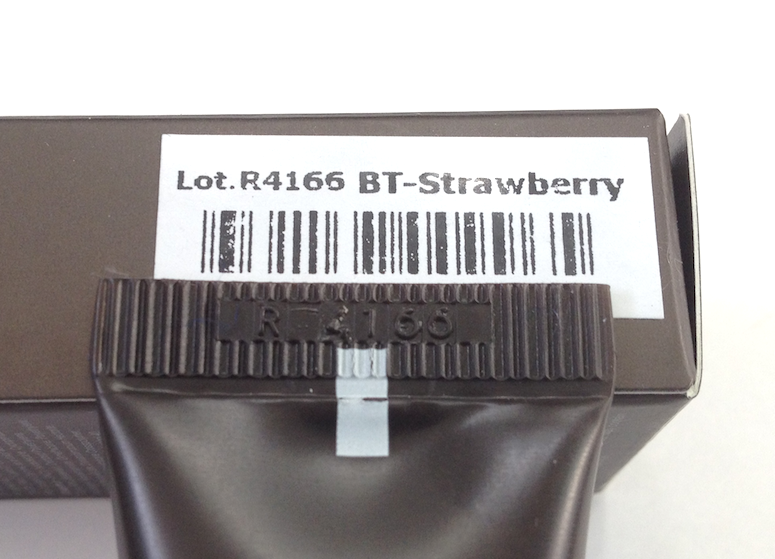 Cons: Tubes are not labelled with the name. As I mentioned in my review of the Pastel Power Illuminating Beads, I was initially a bit hesitant about the limited edition quad in this collection. Although I don't have a problem using pastels, it's not what I tend to be drawn to. I was, however, charmed into sitting down for a makeup application by the lovely Lise Watier MUA (hello Erika!) at my local Pharmaprix, and I was so impressed by how she used the Pastel Power palette that I bought it on the spot. The packaging has the same kind of pretty floral detailing that is featured on the Illuminating Beads, with a very retro-feeling pale aqua interior. Most of the Lise Watier palettes that I have tried contain eyeshadows with a shimmer finish, and a smooth, almost creamy texture. This palette is a little bit different. The pale blue and mushroom beige shades have a satin, almost matte finish, and a fine, silky texture. The beige shade has a medium pigmentation that can be applied as a sheer wash for a delicate look, or can be layered for more opacity. 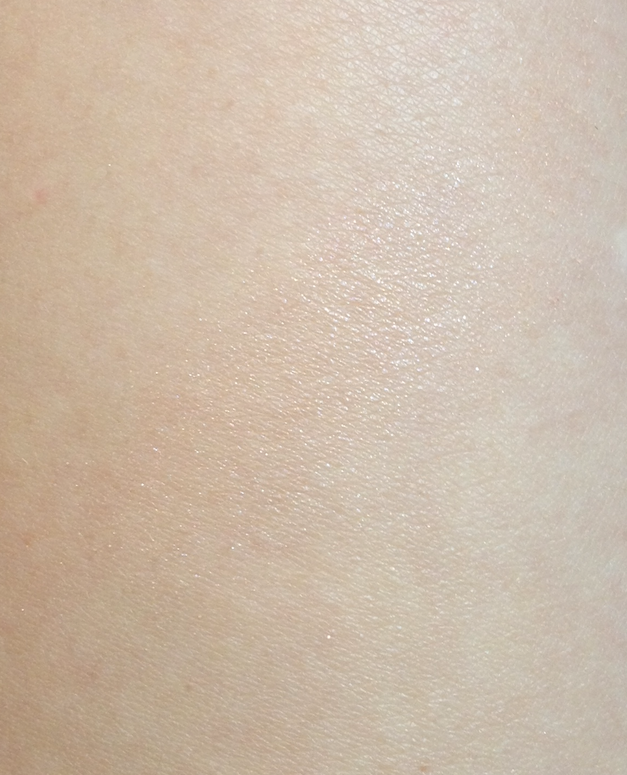 It's really nice on its own for a super-simple everyday look if you have a skin tone similar to mine. 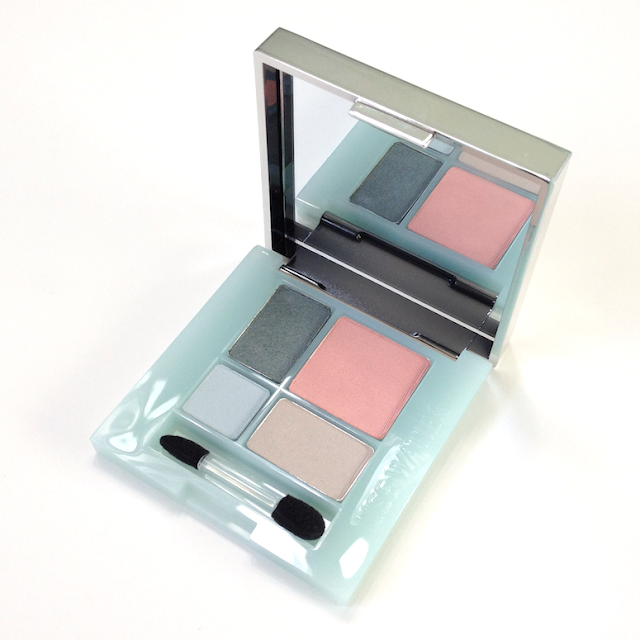 The pale blue has light pigmentation, and can be used for an inner corner highlight or to blend out the edges of the darker teal shade. Over a creamy white base, it can be packed on the lid for a 60s style look, as per the Tippi Hedren look that Lisa Eldridge recently posted. Although it's not chalky, I suspect it will look washed out on skin tones deeper than mine, as it is not opaque enough to build up for enough contrast. 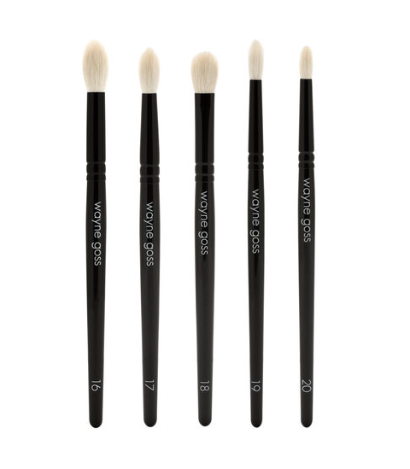 It has a fine texture that can brush away easily, so it's best to pat it on with a firm brush. 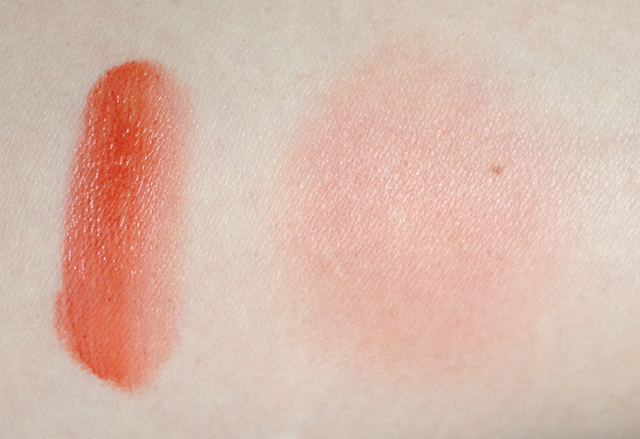 Both of these shades wear best over a primer, lasting 8 hours for me that way. Without primer, I noticed fading after about 5 hours for the beige, with faster and more significant fading for the light blue. 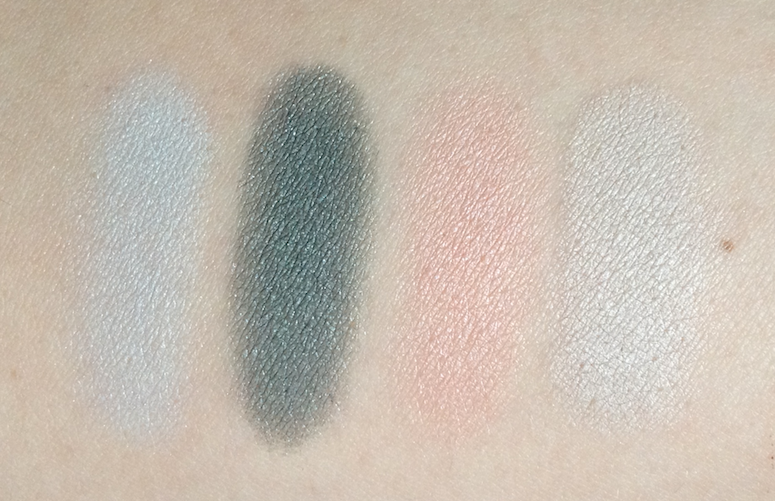 The smoky, greyed teal shade is the standout for me. 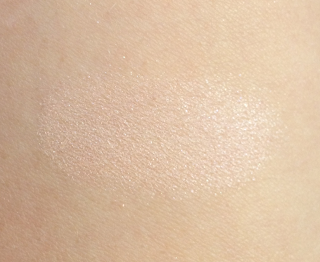 It has a touch more shimmer, and a slightly creamier texture than the lighter shades. It also has stronger pigmentation, and I was surprised by the beautiful smoky eye that Erika was able to create with this shade as the dominant piece. I actually don't think I have a comparable shade in my collection, and I do wish this was available as a stand-alone eyeshadow. I would snap it right up! The light, warm pink shade has a similar finish and texture to the other lighter shades, and can be used similarly to those. BUT. It also doubles as a blush, and beautifully at that. 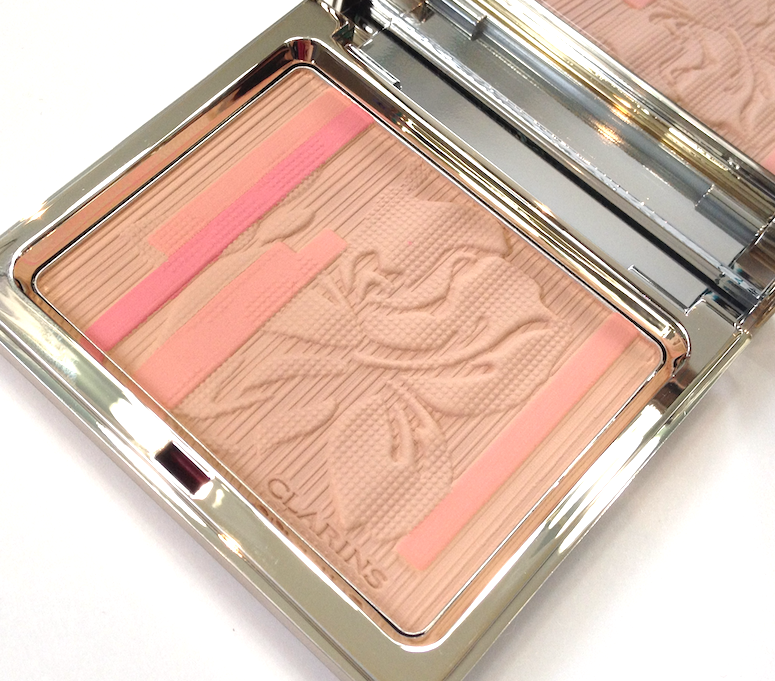 It creates a softly glowy cheek that just embodies spring for me. 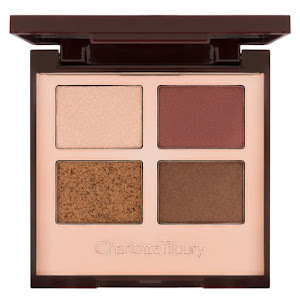 I love, love, love that this little palette is multi-faceted, and that between all the shades it can create the most delicate look or something much more intense. 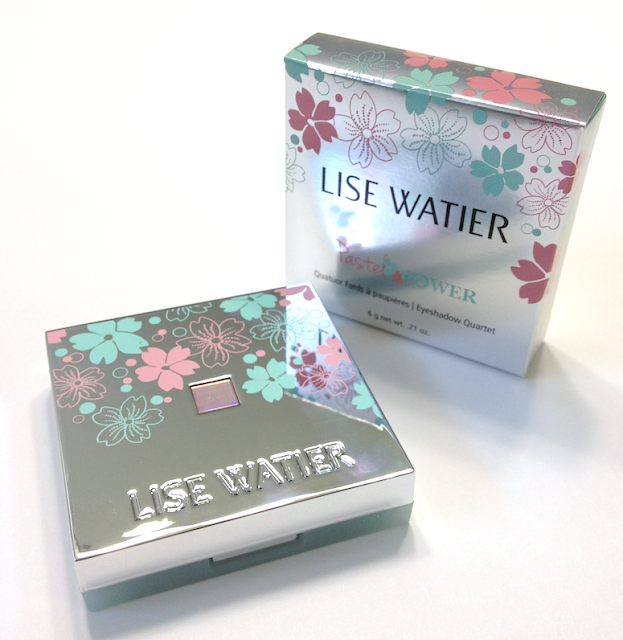 Availability: On the www.lisewatier.com site (and on www.lisewatier.us for shipping to the States) for 36$ CAD and USD. Also at Pharmaprix, Jean Coutu and The Bay locations. Pros: Super pretty packaging design. 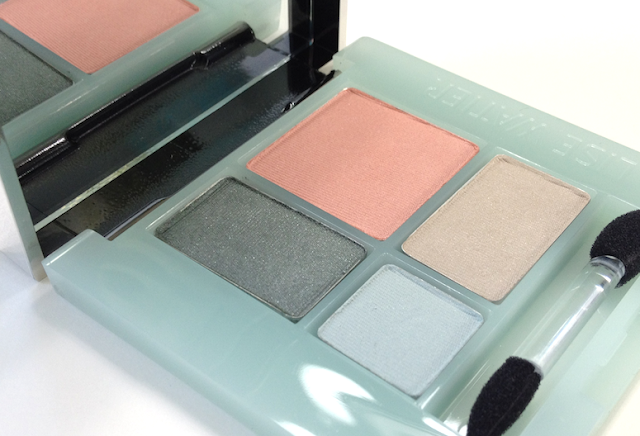 Beautiful and unusual smoked teal shade. 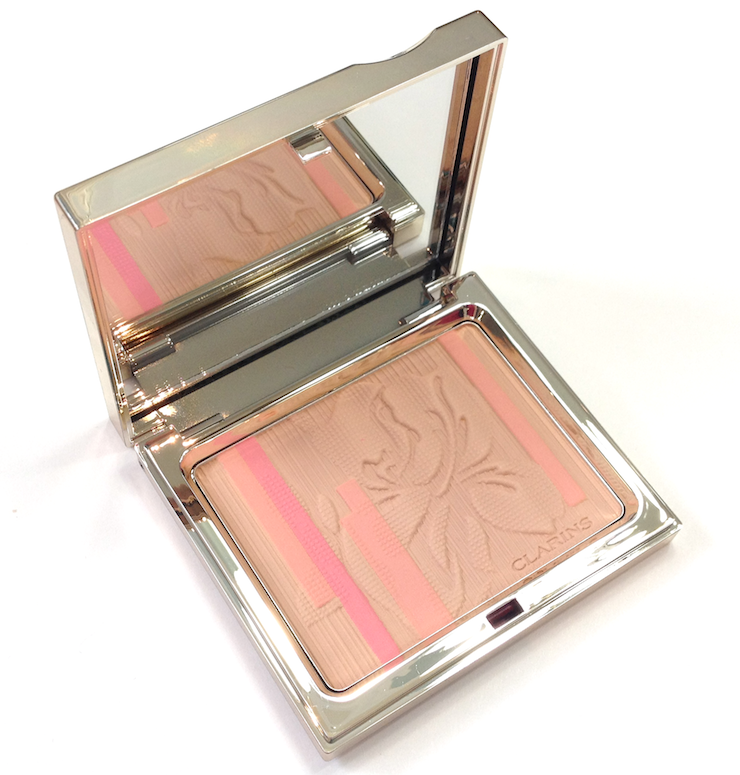 An all-over pink shade that can double as a blush on lighter skin tones. Fairly versatile palette that can be used for a barely-there, ethereal look or something more dramatic. Cons: The wear time and intensity of the beige and especially the pale blue is best served by using a primer underneath. The pale blue is prone to brushing away, and is best used as an accent. It takes a special kind of gumption for a young girl of 18 to start her own lipstick line because she is unsatisfied with the options around her. And that's exactly what Poppy King did in 1992 when she created her original, eponymous line. Fast forward 20 years to the modern incarnation of that same spirit: Lipstick Queen. If you're not familiar with the brand, you should know that you won't find an eyeshadow or a concealer anywhere in the line. 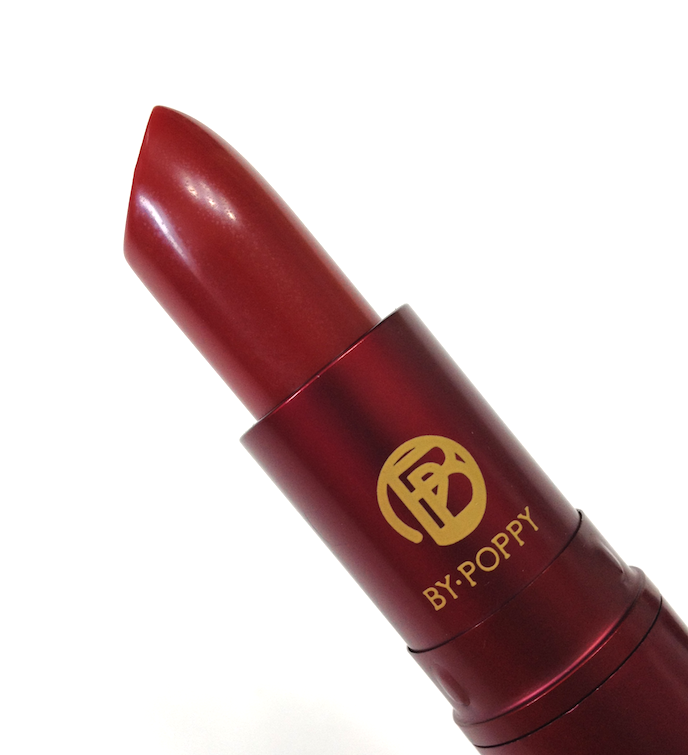 Poppy's passion is lips and you will find all nature of lip glosses, lipsticks, and lip balms to suit your every fancy. Her most well-known creation is the two-pronged selection of lipsticks, each shade available as a Saint (with 10% pigment for a sheer application) or Sinner (with 90% pigment for all the opaque drama you could want). 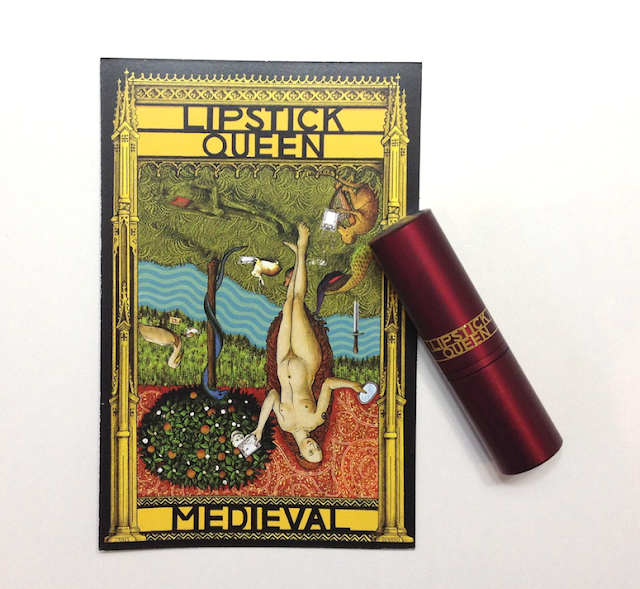 But the item that drew me initially was Medieval Lip Treatment. I have a minor in History with a focus on the Middles Ages, and will happily geek out over anything related. 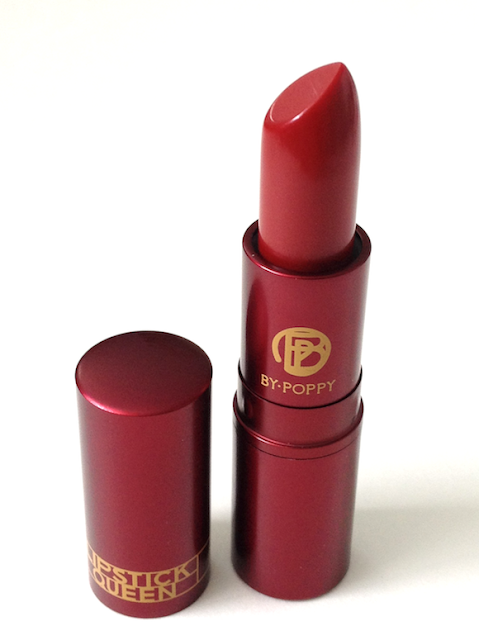 So a lipstick billed as the perfect universal shade that comes packaged as gorgeously as this? I'M THERE. I can't vouch for this being the perfect shade for everyone, but it IS very sheer and despite the colour of the bullet, not particularly red. It is truly a lip balm rather than a lipstick. It is extremely wearable. 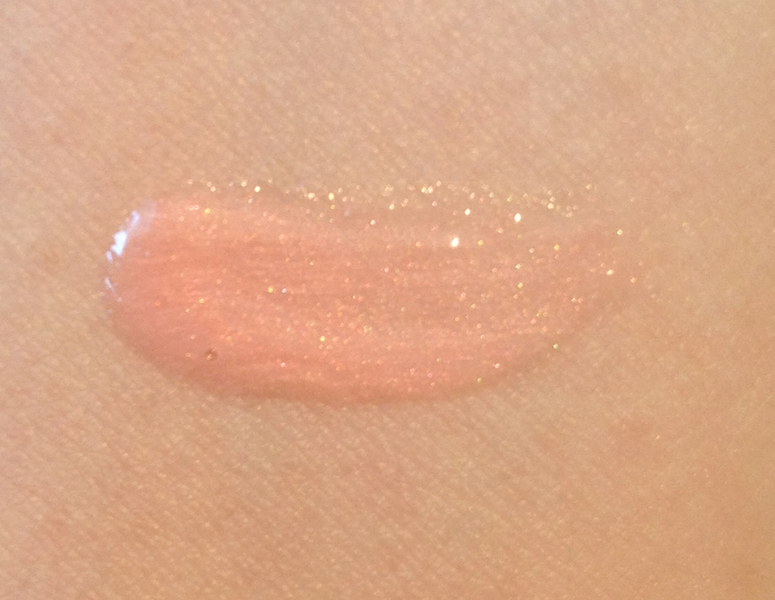 I found that applying it straight on and trying to build intensity resulted in a glossier look than I liked, with the pigment sliding into the lines of my lips. 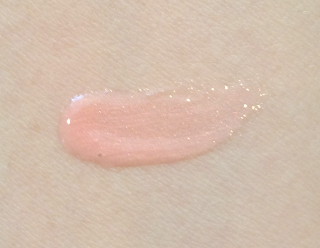 My preferred way of wearing this is to apply it like a balm, let it sink in a bit for the treatment it provides, and then tapping most of it off until all that's left is a faintly shiny, pinkish stain. It is quite hydrating - loaded with shea butter, mango butter, sunflower and meadow foam seed oil - so the effect is of plumped, naturally flushed lips. 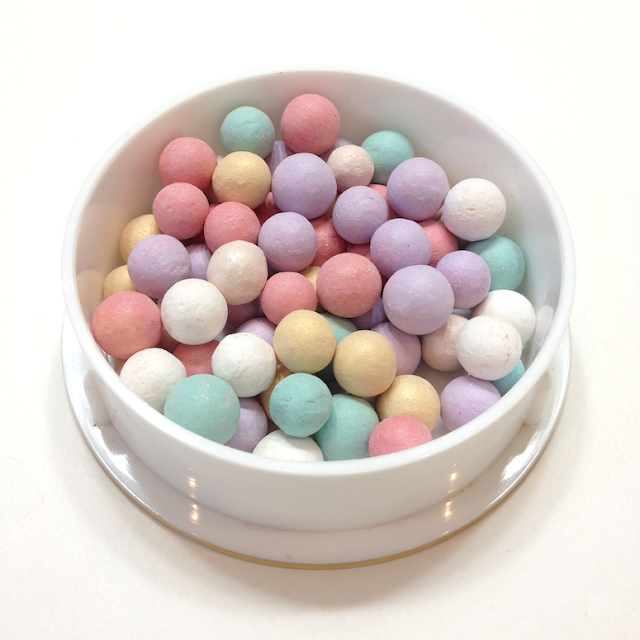 It has a comparable feel to something between a Revlon Lip Butter and the Fresh Sugar Lip Treatment, though it is not as moisturizing as the latter. Medieval veers slightly to the cooler range, but because it's so sheer I do think that it will suit a wider variety of skin tones that something more intense might. It is a "your lips but better" shade. Applied straight from the tube. 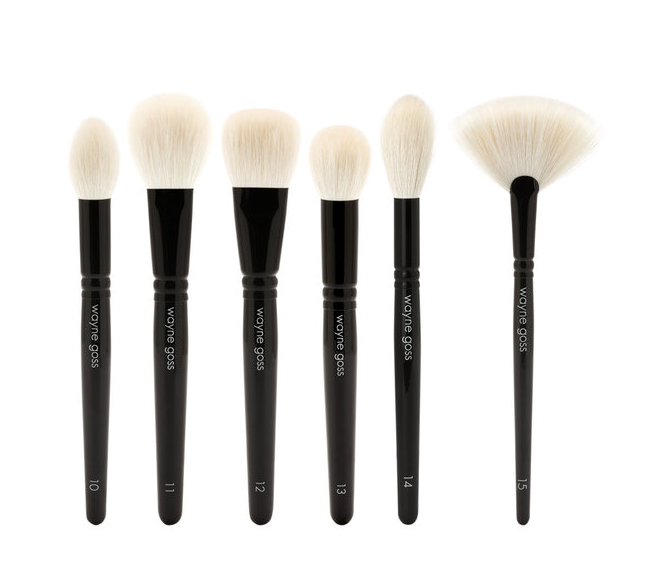 Availability: Nordstrom, Beauty.com, Space NK in the US. Price is 20$ USD. It is available in Canada from Saltridges, for 22$ CAD. Pros: Beautiful, evocative packaging. Nicely hydrating. Super sheer, quite possibly universally flattering colour. 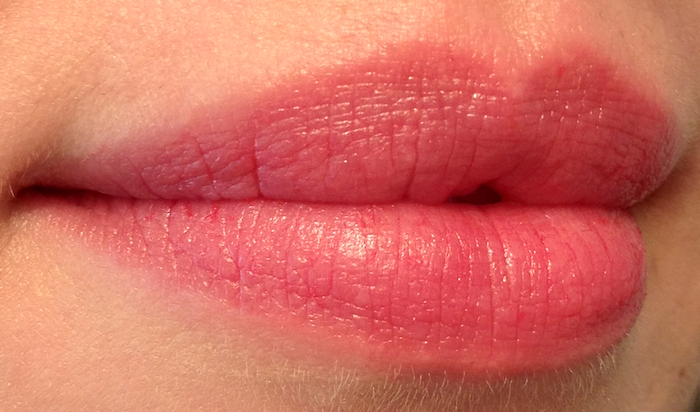 Cons: Balmy texture can turn slippy and bleed or collect in lines on or around the lips. 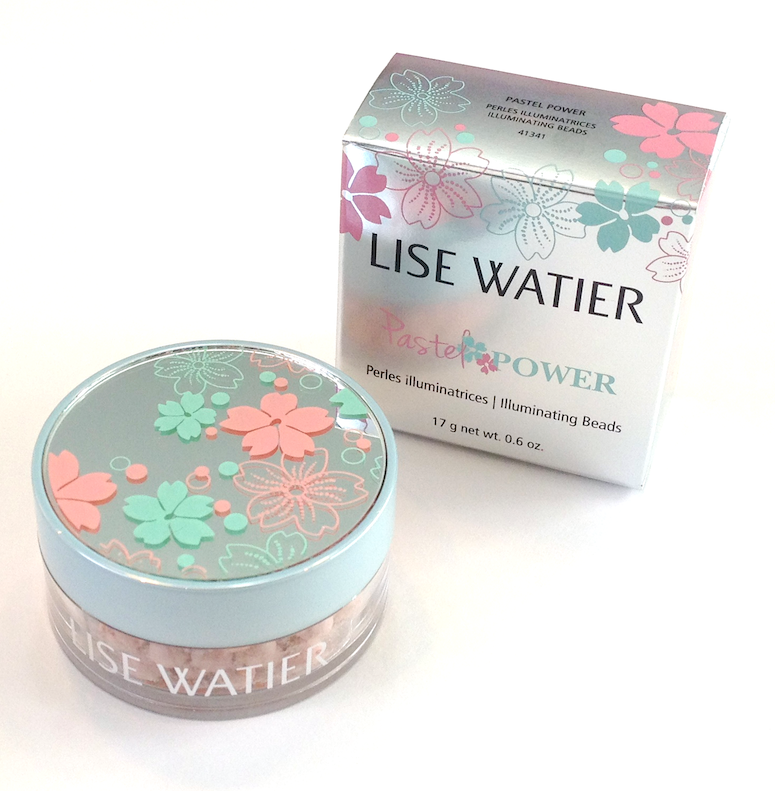 Lise Watier recently launched their Spring "Pastel Power" collection in stores, and, like a moth to a flame, I was immediately drawn in by the super-feminine packaging. When I was offered a makeup application by the Lise Watier MUA at my local Pharmaprix, I jumped right in, even though pastels and I are not generally the closest of friends. She actually gave me a wonderful smoky eye with the quad in this collection (review upcoming), but I was charmed most of all by the Illuminating Beads. 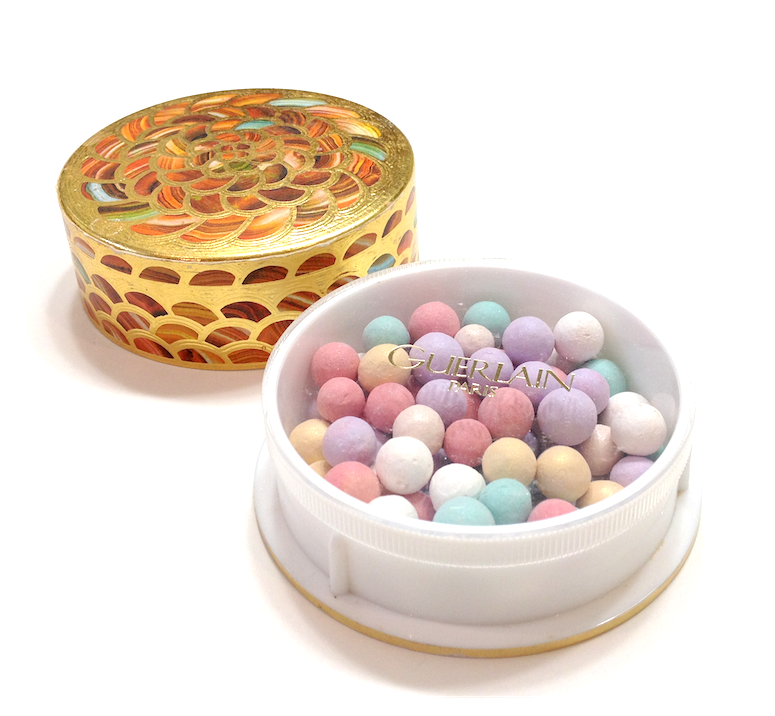 Packaged in an adorable little mirrored container, the beads themselves are about half the size of Guerlain's Meteorites, and have a different texture all together, softer and denser than the latter. They are also somewhat more shimmery, with the mix of pale peach, pink and aqua beads transforming to a soft, pink-leaning veil on the skin. 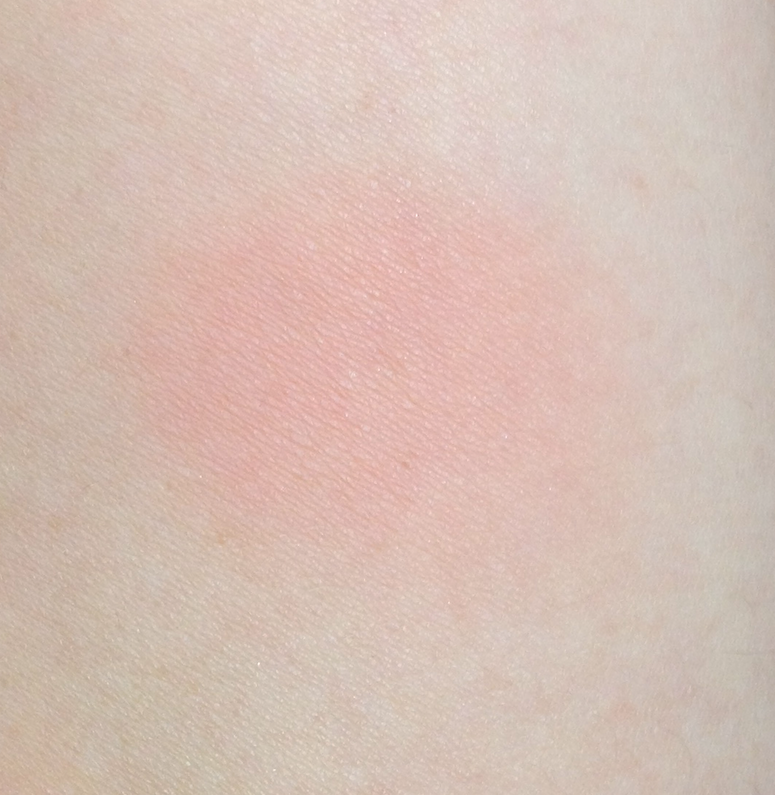 Because of the relatively pale cast visible in the heavier swatch, I suspect this will show up ashy on deeper skin tones. The effect is discreet, not disco ball. It is exactly the level of glow that is daytime appropriate for cheekbone or the brow, without looking frosty or glittery. It didn't emphasize the lines around my eyes when I smile. Buffed over the cheeks, it can emphasize pores if you have them, though not more so than most highlighters will. I was surprised at how long wearing this was, as I could still see a nice glow well into the evening. Value-wise, this is worth considering if you're lusting after the Meteorites but balking at laying down the cash. At 29$ CAD and 0.6 oz (compared to 67$ CAD for 1.05 oz), the Illuminating Beads offer more than half as much for less than half the price. The value per oz is not tremendously greater, but it is a less wince-worthy hit to the wallet. Swatched heavily from a crushed bead. 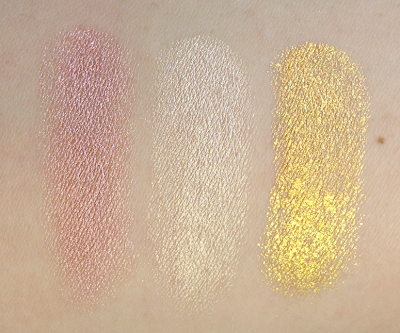 Swatched using a fluffy eyeshadow brush. Availability: At Pharmaprix/SDM, Jean Coutu, the Bay. Available for order via www.lisewatier.us if you're in the US. Price is 29$ CAD and USD. 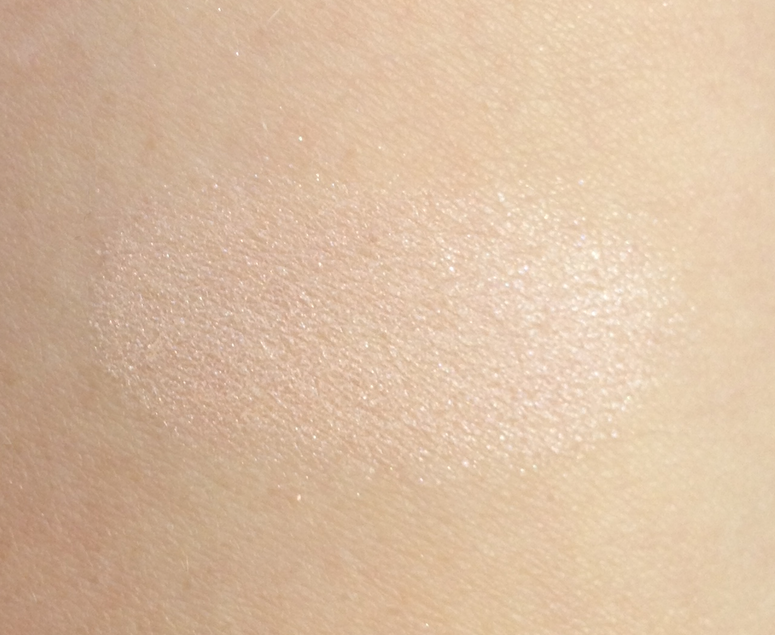 Pros: Beautifully illuminating and daytime-wearable, lovely soft texture and instant payoff. Long-lasting. Super pretty packaging. Cons: May be limited to lighter skin tones, does slightly emphasize pores. 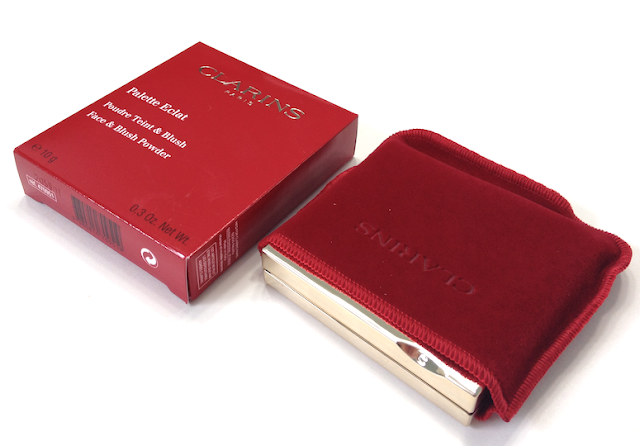 For the past few years, Clarins has teamed with Rythme FM and Jean Coutu drugstores for a fundraising event called "Le Mois des Câlins de l’Hopital Sainte-Justine". The goal is to raise money for the Ste-Justine Pediatric Hospital of Montreal, so that they can continue to provide care and aid to children with rare and aggressive diseases. 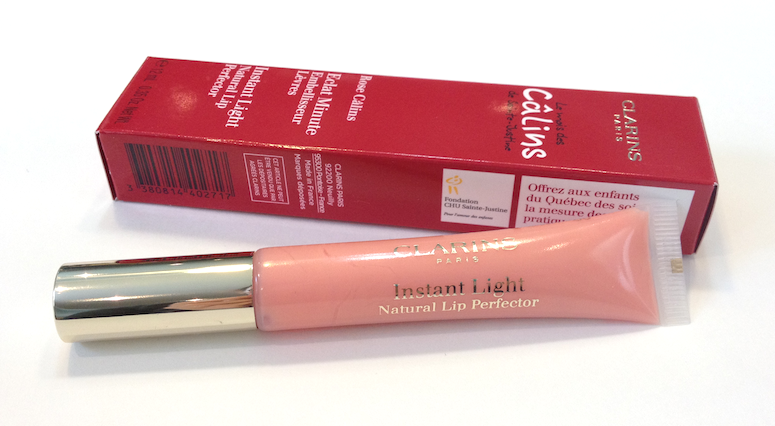 For every tube of gloss sold, Clarins and Jean Coutu will jointly donate 10$ to Ste-Justine Hospital. Considering that the selling price is 20$, that 10$ is not a token amount. It's a beauty splurge well worth considering, and I would urge you to give it a look if you're in a Jean Coutu (but do so soon, my local counter was down to their last batch and they didn't expect it to last the week). I'm not going to do my usual review here, but I want to give you an idea of what to expect. 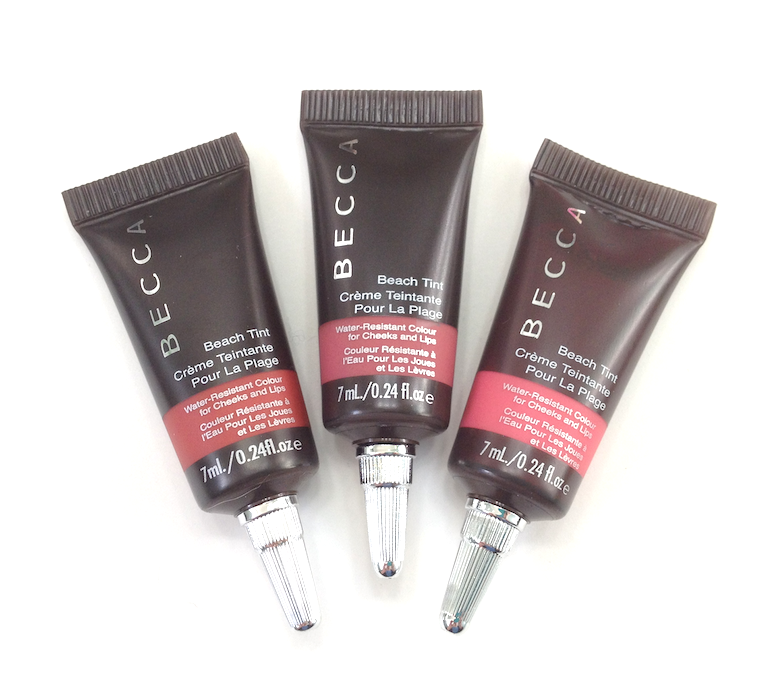 The Lip Perfector formula is both a gloss and a lip balm treatment. 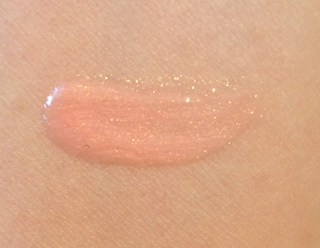 It provides a gorgeous shine and just a hint of creamy pink colour with tiny golden shimmer, and is wonderfully hydrating to the lips. This is actually the first Lip Perfector I have purchased (hey, it was a great reason to get it!) and I am really pleased with the softening effect. My lips also appear to look a little fuller, both due to the gloss and the hydration as the little dry lines get filled out. It also has the most delicious vanilla scent. Have any of you picked this one up? What do you think of it? I have to say that I really respect a company (in this case, both Jean Coutu and Clarins) for making a substantial contribution to an organization that directly benefits people in our extended community. When I saw these Color Tattoo Metal Eyeshadows, I knew I had to grab a few. Barely Branded is very similar to Barely Beige, so if you have that one you probably don't need to rush out for this one. 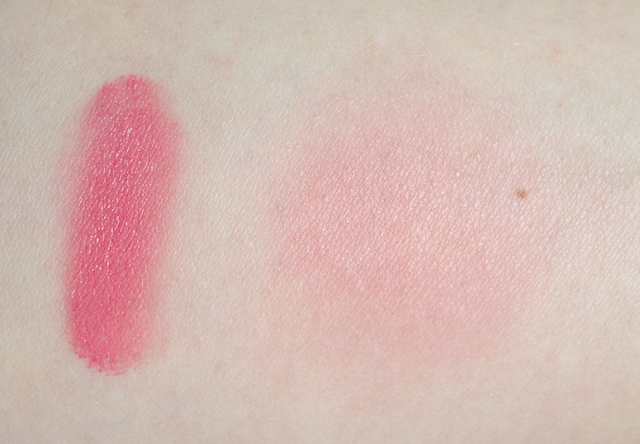 Both Barely Branded and Inked in Pink have a high amount of shimmer, apply very smoothly and with great pigmentation. They can also be sheered out easily, and that is actually how I prefer to wear them. Dabbed softly on the lid, they give a glowy finish that is gorgeous by itself (sort of half angel/half surfer girl) and great as a base. When you apply a shadow with a less shimmery finish overtop, it gives an interesting dimensionality to the whole eye look. I find the texture of these to be a slicker than that of my other Color Tattoos, and the resultant slip makes them a touch more vulnerable to moving about when worn alone. 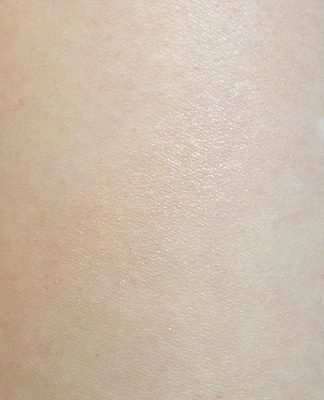 With either a primer underneath or with a shadow on top, the wear is extended to 10 hours with no problems. Gold Rush is definitely the odd one out. It's not just metallic - it has a gritty texture, as if filled with chunky glitter. Unlike any other Color Tattoos I own, it's a little difficult to apply as it tends to sort of roll up on itself when you try to blend it or get it more opaque. When worn all over the lid, it moves and creases within a few hours, and sheds some glitter fall-out. 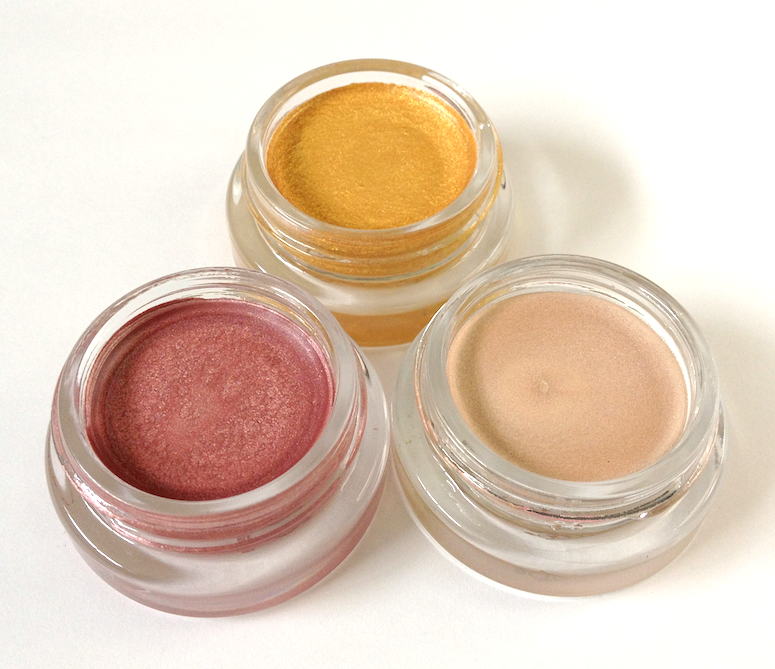 If you dab it lightly just in the centre of the lid or in the inner corner, it provides some nice glitz. 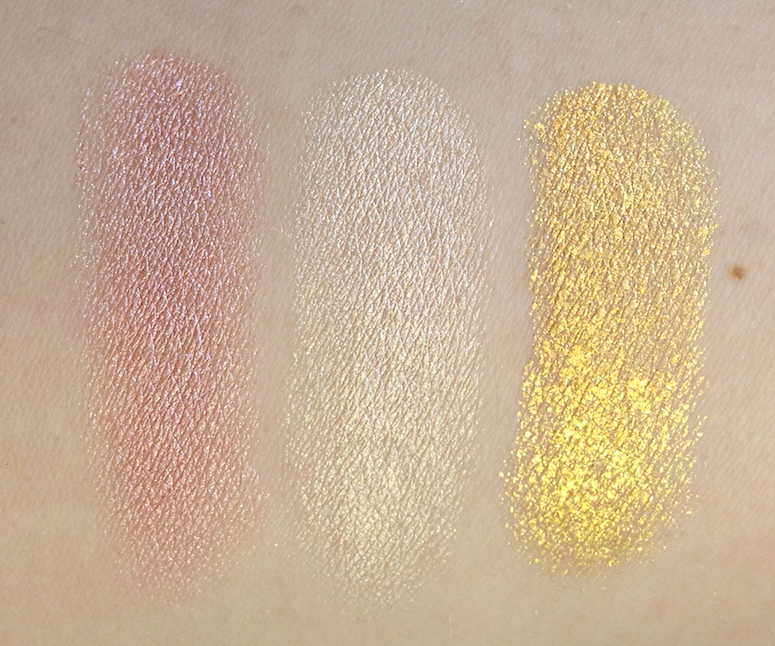 left to right: Inked in Pink, Barely Branded, Gold Rush. 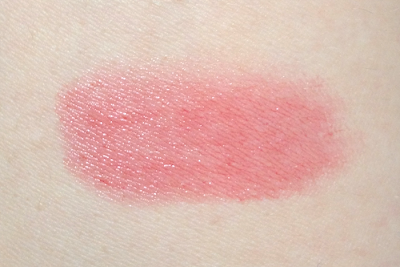 Pros: Inked in Pink and Barely Branded have blendable, sheerable textures and lovely shimmer, and good wear that can be extended. 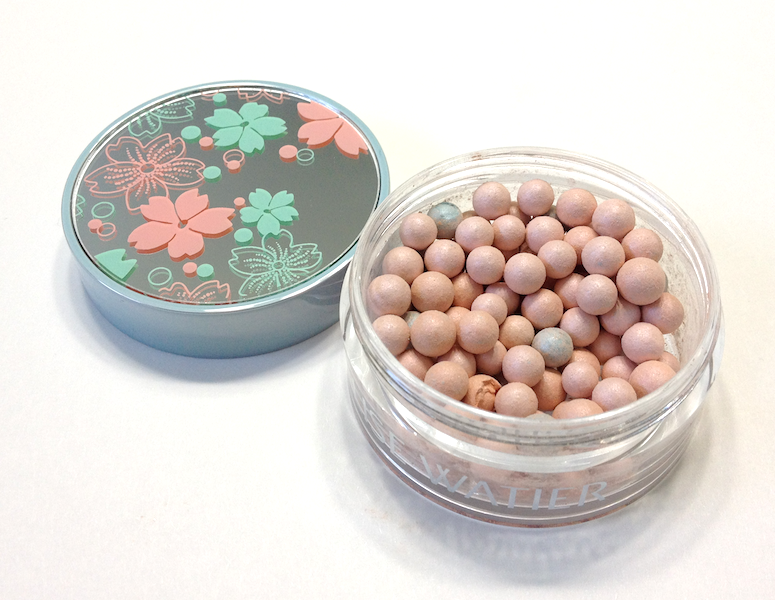 Can also be used as bases to multi-dimensional effect under powder eyeshadow. 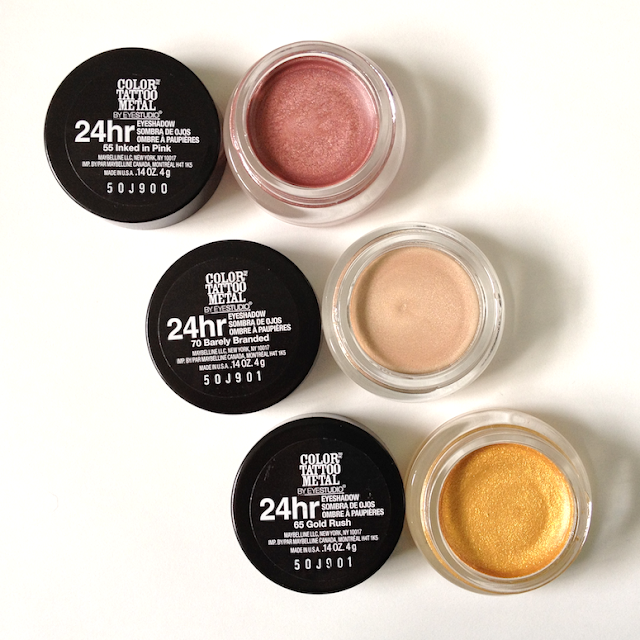 Cons: The texture on Gold Rush makes layering and blending tricky, and the glitter fallout discourages full-on application.